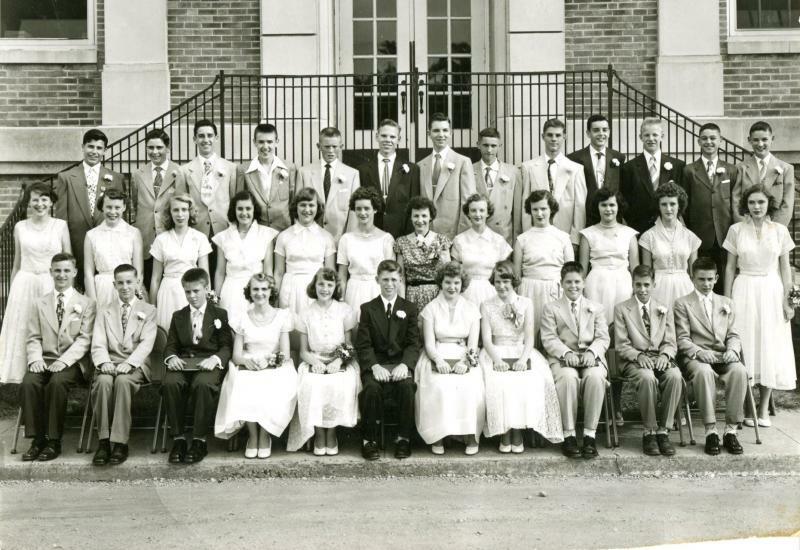 Comments: Lydia Wilson (Nee: ) | Erlton NJ | 1941-1960 | Comments: Erlton Elementary School Graduation , Erlton NJ Top Row L to R : Joe Kelly , ? . Russell Knight, ? , Bobby Howard , ? Bruce Montgomery, Billy Ellis , Fred Post ?, ?, Jack Miller , Billy Erwin, Middle Row : L to R : Terry Bott, Connie Bott , Helen Valentine , Joan Hess, Louella Larson, Marilyn Weber, Mrs Sorey, Lydia Wilson, Jody Ripple, ? , Marie, June, Bottom Row: Donald Flemming , Ronald Flemming , Victor , Pat Ellis, Judi Brennon, Michue Paulas (sp) , Caarol Scott . ? ,? , Billy Floyd ?, ?